2005 and 2008 of the drifting around the elevated station. dome deconstruction photos...construction photo index...the first 2018-19 aerial photo! 6 April, more intimate detail about the now-approved and funded McMurdo upgrade, as well as more arcane detail about the Coast Guard polar icebreaker procurement. News! 3 April...no fooling, it has been awhile. The sun has set at Pole, so it's getting dark, and it's time for the winterover statistics and other stuff! 1 March...more updates on the funding for McMurdo redevelopment as well as new icebreakers. Oops, speaking of icebreakers...the Polar Star suffered a FIRE on board as they headed north from McMurdo last month. 20 February...the summer at Pole ended on 14 February, leaving 42 people behind who will stay overnight. And the funding bill passed by Congress means there will be funding for NSF, major construction at McMurdo, and for building the new icebreakers! And there are updates from the vessels--a medevac from the Nathaniel B. Palmer and the failed effort to locate Shackleton's sunken ship. 3 February, more updates on the end of the tourist season, the Ocean Giant and ship offload is underway. 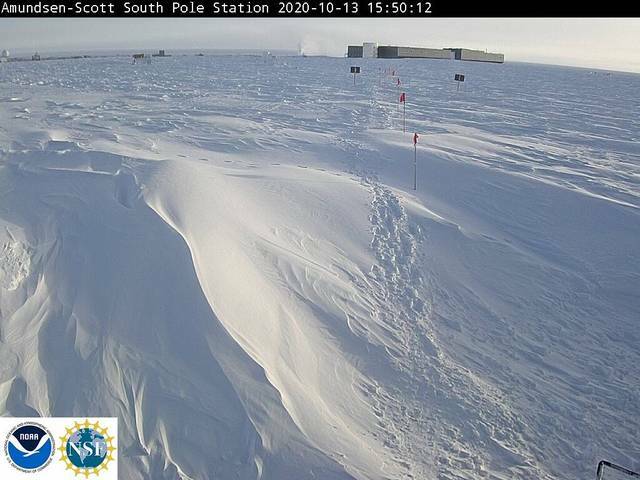 13 January--lots of updates on the projects underway at Pole and McMurdo, science stuff, the upcoming shipping season. 8 January...a bit more science news, as well as...well, I'm still working on the coverage, but the "race" to cross Antarctica has brought out a fair bit of criticism. 29 December: the race between Colin O'Brady and Lou Rudd is over...and NSF OPP director Kelly Falkner comments on the continuing government shutdown. 23 December...I've been remiss on updating things since I just spent a couple of weeks traveling and tramping in NZ...but now we have updates on the NGO travelers, the South Pole traverse, the deaths in the Dry Valleys. 3 December--updates on the "race" across Antarctica between Colin O'Brady and Lou Rudd, and a NEW McMurdo webcam--this one is under water! 26 November--the summer season is well underway! Here's an update on some of the projects and other events scheduled for the next 3 months. 14 November...at last, the first LC-130 showed up on 12 November...and another arrived the next day. 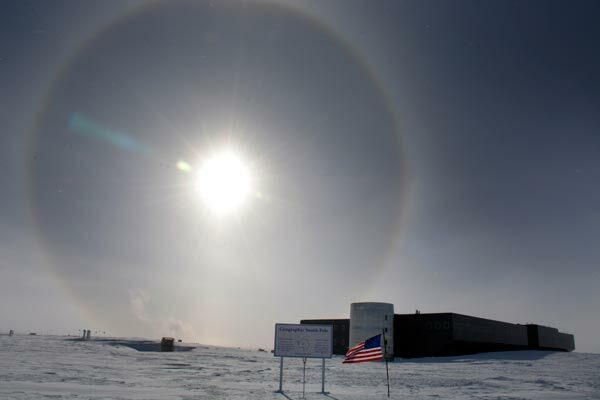 26 October...NSF has announced that a contractor employee died of natural causes at Palmer Station on the 23rd. And further south, the first opening flight into Pole (a Basler) arrived from McMurdo on the 25th. 21 October...updates on the first Basler flight into Pole and the end of the long delay of main body flights into McMurdo...as well as updates on the Polar Star icebreaker and the NYANG's LC-C-130s. 12 October...the big news continues to be the bad weather at McMurdo. The first main body flight was supposed to happen on the first, but...there are now over 500 folks backed up in Christchurch until at least Monday the 14th. And there's a great NSF article/video about the indefatigable and smiling Robert Schwarz! 12 September...the biggest news out there is that there is an awesome new map of Antarctica...you can have a look at it even if you don't have a multi-petabyte hard drive. And as the sun is approaching the horizon, the sunrise dinner has been scheduled for 22 September. 3 September--sorry I've been busy...bluegrass, dentists...1983 Pole videos (more on them later)-- the sun, while still below the horizon, is making its presence known at Pole. In other news, there's stuff about the July lunar eclipse, new icebreakers, and that continuing subfloor replacement project here. And the list of NGO Pole trekkers for next summer has been updated here. 17 July...lots of news! Including more icebreaker stuff about the Polar Star and its hopeful successors, as well as the high-energy neutrino detected by IceCube that was traced back to its black hole source. And I didn't even mention the fact that it finally got down below -100ºF last week! 10 July! Belated midwinter greetings, along with news of the next big construction project at McMurdo and photos of the icebreaker Polar Star in drydock! 15 June...the high winds have mostly continued, creating interesting snowdrifts and setting records. Otherwise, preparations are underway for midwinters celebrations next week, and there's more ice news...ice BREAKERS and ice MELTING. 5 May...thinks at Pole are dark and quiet and auroras are outside! But the big news of the week is the reemergence of the late Nicholas Johnson's Big Dead Place! Want an Antarctic job? On this page I've provided everything you need to know about (or at least where to find) how to get a job...updated frequently...and of course after the contract change to Leidos. The dome is gone. And the most comprehensive web collection of dome deconstruction photos is here! And the message boards are still around...stop by the new home of Mike Poole's Antarctic Memories, which now includes the archives of Glenn Grant's Iceboard. If you have questions or problems with this excellent resource...the best place for info on jobs and life on the ice, ask me for help! More news updated 6 April. QSL cards...and the postcards... are here too. Other amazing historical features: Old Pole...dome construction...321...917...and more.